I love it, Petey likes it, but in moderation, and The Kid can’t stand it. 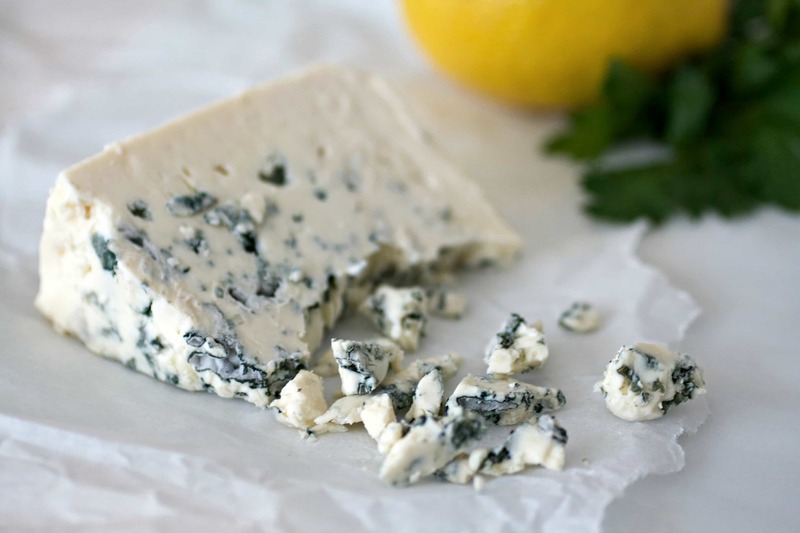 I discovered that this too, is called blue cheese. When I was little, on the rare occasion when I was forced to eat a green salad, I passed up the thousand island, and asked for blue cheese, ‘cause that’s what my dad ate (Ranch wasn’t an option, as it was only discovered in 1979 when a guy in Idaho trying to dig his way to China struck a rich vein of ranch dressing in his backyard.). I enjoy the funky saltiness of blue, and still love the dressing on canned pears—I know; weird, but try it before you judge too harshly. Ten or twelve years ago, on a family vacation to the mountains, Petey discovered the joyous combo of blue cheese and beef. But he shies away from too much or too strong; so that means no gorgonzola or Roquefort for my ever-loving spouse. The Kid? Forget it. 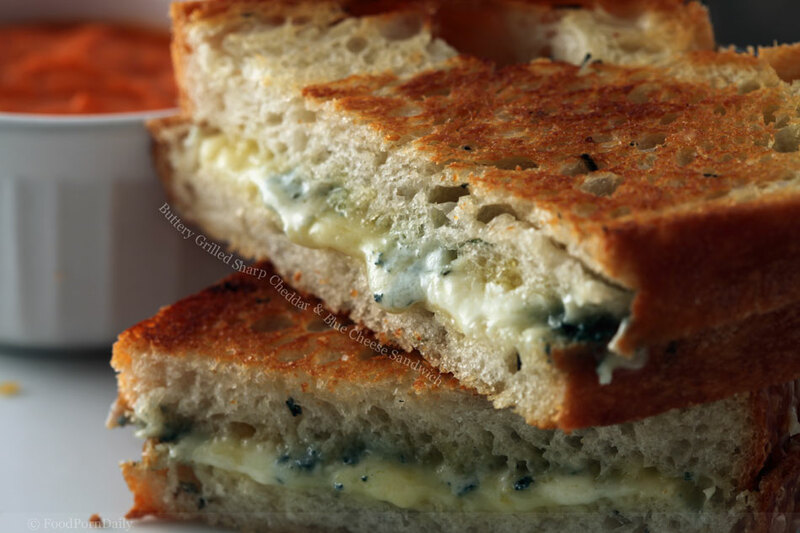 Although normally an extremely adventurous diner, blue cheese, along with coconut and beets, are on the iron-clad official “Thou shalt not pass (my lips)” list. Recently Petey and I discovered a new blue that we really like. It’s Carolina Bleu, from the Ashe County Dairy. It’s quite mild and much softer than a normal version. I had picked up some hamburger on the $2.99 sale that Fresh Market has on ground chuck every Tuesday, and when I discovered that the Durham Co-op carries Carolina Bleu, I decided to make hamburgers. Divide meat into fourths. Make four flat burgers about 4 inches across. Place cheese on two of the burgers. Cover with the other burgers and seal the two together making sure they are completely sealed. Cook on a crazy hot cast iron skillet for 2-3 minutes per side. Don’t overcook or the cheese will ooze out and leave you with nothing in the center but disappointment. Dress and enjoy. Serves 2. On the same trip to the co-op, I picked up the cutest little baby zucchinis. It was a complete impulse buy; I had no clue what I would do with them…until I started thinking side dishes for the stuffed burgers. Place seasoned flour into a large zip-top bag. Pour buttermilk into a shallow dish. In another shallow dish, mix together breadcrumbs and Parm. When ready to cook, heat 1 ½ inches of oil in heavy-bottomed pot until it reaches 325 degrees. Working a few at a time, fry sticks until they are golden brown. Salt directly after removing from oil, then place on a cooling rack in a 170-degree oven to keep warm until they are all cooked. Serve immediately with dipping sauce of your choice (I like ranch or mouth-puckeringly sour lemon aioli). I’ve two things in closing. I recently discovered this cheese is also carried at Earth Fare, in Raleigh’s Brier Creek. And because this cheese is so soft and sliceable, I think it would work really well for a grilled cheese on hearty whole grain bread.